The Matrix IC7 Spin Bike is the most advanced Indoor spin cycle on the market. A main feature is a dual 2 stage drive belt system which allows the rider to generate extreme levels of torque for advanced performance. The popular machine comes minus the large center pulley characteristic found in the more traditional bike design. The IC7 brings a lower and sleeker profile to the studio or cardio floor. Watt rate ( power ) meter accurately measures power output with an error margin of + / – 1%. 300 degree magnetic resistance adjustment for perfect dial in resistance levels. Gas assisted seat post / handlebar adjustment for a smooth, step-less adjustment range. Self-generated flywheel powers the bikes electronics. 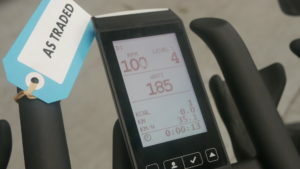 The advanced ergo formed handlebars allow for multiple riding positions. Narrow 155 mm Q factor offers superior bio mechanics. 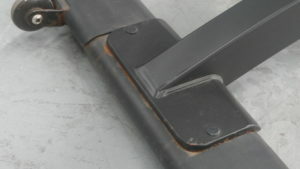 Rust resistant aluminum posts and sliders. Frame: Steel with Matte Finish. Dual sided SPD +toe cage pedals. Refurbishment:This is an As Traded item and may have some general wear and tear (nicks, scratches and so on). All in working condition. 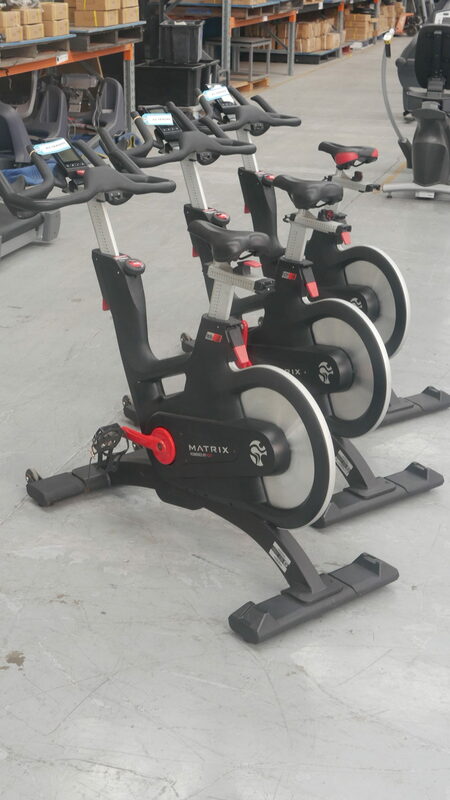 Buy Matrix IC7 Spin Bike online. If you are interested in the Matrix IC7 Spin Bike for sale, feel free to enquire above.